TiVo powered by VU-IT! delivers more robust Video On Demand plus streaming services like HBO GO, Netflix, Hulu, YouTube and Pandora to just about anywhere in your home. 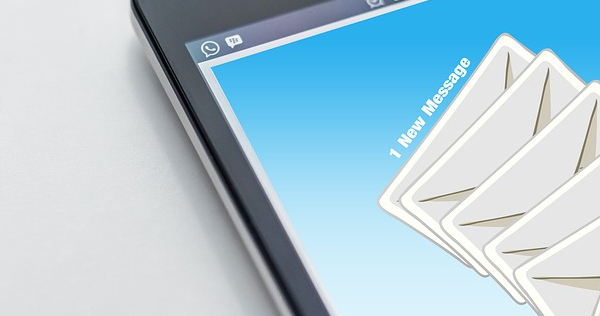 BELD's new SmartSavings program pays you back! BELD Broadband’s watchTVeverywhere (WTVE) streams some of your favorite programming to your tablet, computer or moble device. 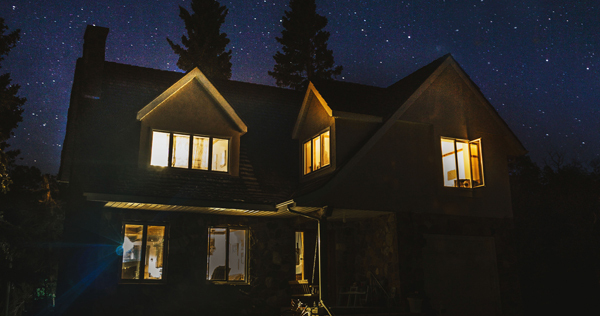 BELD Community Solar lets you get solar benefits if your roof isn’t suitable—or if you don’t have your own roof. Contact our Energy Advisor to sign up or for more information. 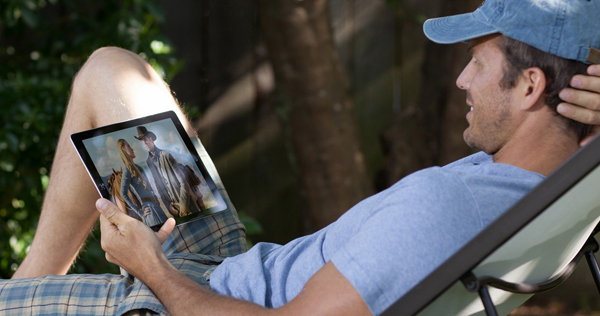 Did you know that you have access to FREE music with your TV subscription? Yeah, you do! Download the FREE Stingray Music mobile app and enjoy expertly curated music channels engineered to keep up with your everyday adventures. Save money. Save time. Save carbon. Plug-in electric cars are fast, fun, affordable, and efficient. Compared to gasoline vehicles, EV maintenance is cheaper and simpler, and the cars cost less to operate. 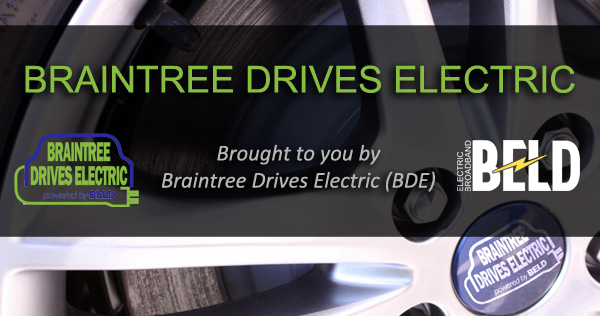 Braintree Electric Light Department (BELD) is one of 41 municipal light departments organized under Massachusetts General Laws chapter 164, and one of more than 2,200 municipally owned light departments in the country. BELD is recognized locally and nationally as an innovator in technology and new services. 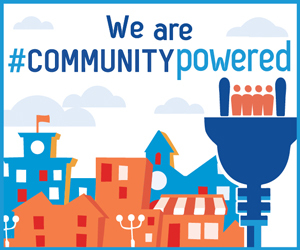 In 2000, after running a new hybrid fiber coax network throughout the town, the department began offering High-Speed Internet service to Braintree residents. Over the following years, that was expanded to include cable television and phone services to both residents and businesses in town. BELD Broadbands 100 Mbps Internet service gives you the speed you need for your entire family to stream movies and play online games without any arguments! 1 year price guarantee, new Internet customers only. 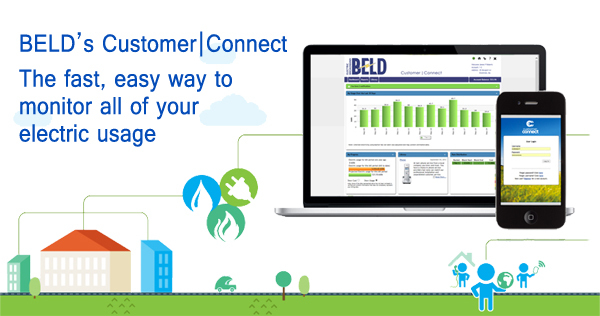 BELD has a variety of solar programs to meet your unique needs … even if you don’t have your own roof. Contact our Energy Advisor to sign up or for more information. 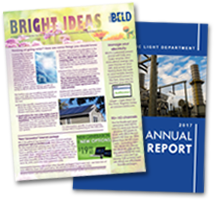 Click to see recent Bright Ideas newsletters, Annual Reports or any of our community notices (billing inserts, Internet and cable promotions, etc.). We are very excited to have these two new hybrid-electric bucket trucks join our fleet! These new vehicles will help us operate more efficiently and reduce our impact on the environment. Eversource letter not applicable to Braintree residents. 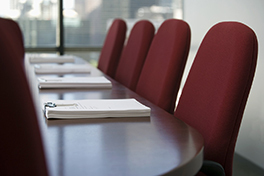 The Municipal Light Board will meet Tuesday, May 14, 2019, 5 p.m. at BELD's Potter Rd. offices. Regular meetings are open to the public. Please contact Customer Service for details. 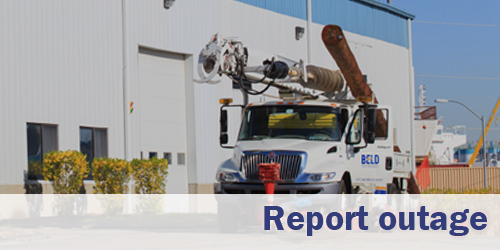 If you need to report an issue with any of your BELD services, please call us at 781.348.BELD (2353). In case of an emergency (life-threatening situation, downed line, or imminent danger) please call 911. 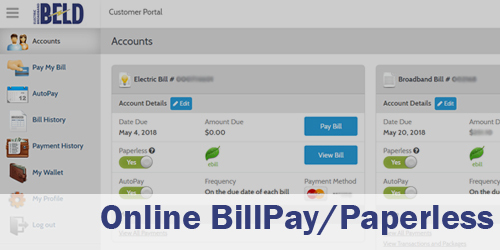 Our online payment system allows you to pay your BELD electric and broadband bills even faster, easier and more securely. 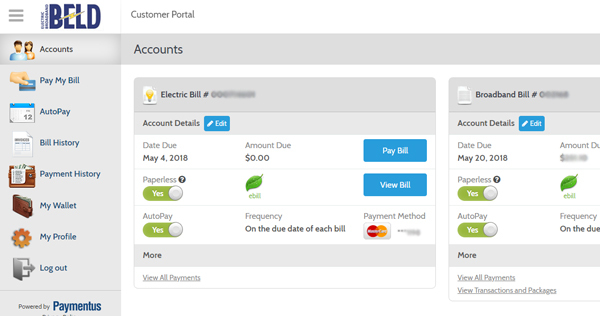 As a registered account user, you’ll be able to see your payment history and past billing statements. Step-by-step instructions.